According to NIH, there are about more than 90 percent of children born to both parents that can hear. In addition, there are about 15 percent of people in the United States that are over 18 years old that report some type of hearing issue. 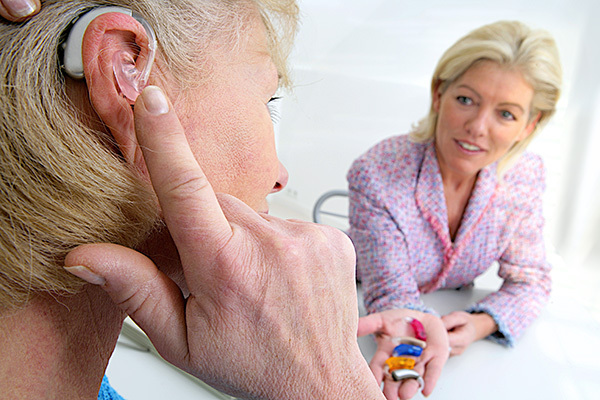 There are about over 28 million people in the United States that could actually benefit from using a hearing aid. In the United States, there are many people facing hearing issues and have no idea that it is a serious problem. Many people experience hearing problems and think nothing of it and tend to ignore it. The problem with ignoring hearing issues is that over time it can become a serious issue if professional help is not sought. It is very important to be very aware of your body and all of the changes that occur. If you start to experience symptoms of hearing loss, it is critical that you get help from a medical professional right away in order to prevent your life from being negatively impacted. According to Mayo Clinic, there are about 25 percent of adults in America between 55 and 64 years old who experience some type of hearing loss. Some of the symptoms to look out for when experiencing any type of hearing loss involves, muffling a speech or other sounds, difficulty hearing words, trouble hearing consonants, frequently having to ask people to slow down and speak loudly, needing to turn up the volume on television or radio, be disengaged from conversations and or avoiding social settings. Losing your hearing can definitely affect you negatively. When you are not able to utilize your hearing as much as you would like to, you begin to not want to participate in the things that you used to love to do. For example, if you enjoyed attending social events and now suddenly you are lacking the ability to hear, you are most likely not going to enjoy social events as much because of the hearing loss that you are experiencing. You would not be able to hear people converse with you the way you used to. Losing your hearing can be traumatizing and detrimental to you and those who you love. It can also decrease the connection that you have with friends and family members because of the constant need to have them repeat themselves. You may start to feel uncomfortable with having conversations because you do not want to have the trouble them to speak loudly and repeat themselves. What many people don’t understand, is that there are medical devices that can help you improve your hearing. There are also treatments that you may want to consider in order to improve your overall hearing. You can start by conducting an online search by searching: hearing specialist Lawrence IN. Overall, it is very important to always be in tune with changes that happen with your body. Any time you experience hearing loss, you want to make sure that you see a specialist in order to help treat your condition. You never want to ignore any type of hearing loss, since it could turn into something worse.